After reading many reviews about the FZ20 on this Forum, I finally got one. 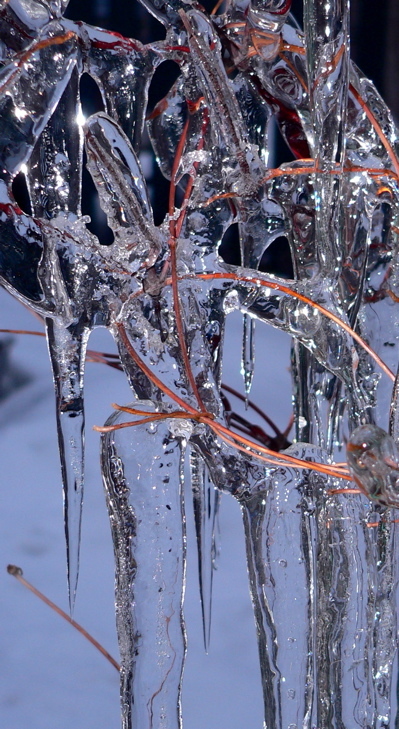 Here's a picture of some ice on the trellis. Welcome to the ever growing club..
Nice opening salvo.I'd like to see a little more to the right and to the bottom (or crop the bottom to the tip of the left cicle. Did you use a flash? The reflection is just right. Great shot! Welcome to the deep end of the pool. :?